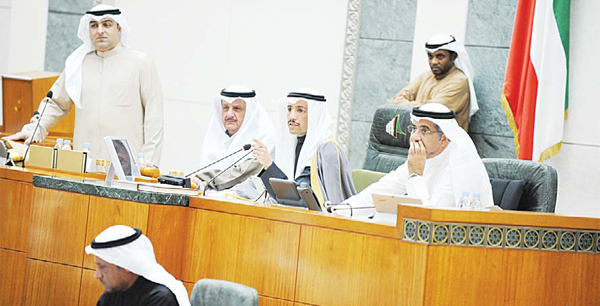 KUWAIT CITY, Dec 3: The National Assembly approved the sports draft law in its first and second reading during the special session on Sunday. A total of 47 members voted in favor of the draft law, while three MPs — Hamdan Al-Azmi, Khalaf Dumaithir and Salah Ashour — voted against and MP Abdul-Kareem Al-Kandari abstained. The draft law was referred to the government for approval. Speaking to reporters after the session, Speaker Marzouq Al-Ghanim disclosed that all the letters and correspondences presented by acting Minister of Commerce and Industry and State Minister for Youth Affairs Khalid Al-Roudhan confirmed the need to pass the draft law before Monday. 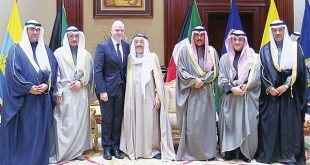 He considers passage of the draft law a national duty as it will pave way for presenting the case of Kuwait in the meeting of the representatives of federations on Monday to make the necessary recommendations. 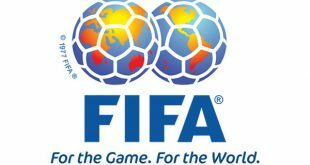 He added “Today, FIFA was informed directly that Kuwait’s National Assembly passed the draft law.” He expressed gratitude and appreciation to all those who attended the special session as they greatly contributed to the passage of the draft law. On the other hand, the Assembly rejected a parliamentary amendment that called for reinstatement of dissolved sports clubs and the request of MP Saleh Ashour to tackle his proposal to privatize sports clubs and development of sports in Sunday’s special session. Ashour asked why his proposal was not tabled for discussion on Sunday and the speaker explained that the special session was scheduled only for deliberations on the draft law concerning FIFA as it is vital in lifting the suspension of Kuwait’s participation in international sports event. In addition, MP Yousef Al-Fadalah further explained that the government presented the draft law which was unanimously approved by members of the former Youth and Sports Committee and it does not include the privatization of sports clubs. The first chapter of the draft law consists of the definitions of sports bodies, comprehensive sports club, national sports federations, Olympics and Paralympics Committee, Public Authority for Sport, National Authority for Sports Arbitration and Kuwaiti Anti-Doping Agency. The second chapter stipulates conditions and rules on the establishment of the sports authority, its proclamation and basic regulations. The third chapter includes the criteria and rules for direct sports activity. The fourth chapter is about the funds of sports authorities. The fifth chapter includes regulations of sports clubs, engaging in sports activities and formation of the general assembly. The sixth chapter is about the national sports federations and their jurisdiction. The seventh chapter is about the Kuwaiti Olympics Committee. The eighth chapter is about the Kuwaiti Paralympics Committee, its general assembly and statute. The ninth chapter is about the settlement and adjudication of sports disputes; while the 10th, 11th and 12th chapters contain general provisions, punishments and conclusive provisions. 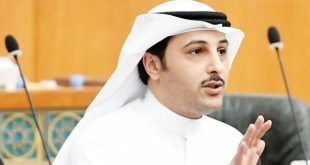 In his speech during the discussion of the second report of the parliamentary Youth and Sports Committee on the draft law, acting Minister of commerce and Industry and State Minister for Youth Affairs Khalid Al-Roudhan pointed out that passing the draft law is an important step towards lifting the suspension of Kuwaiti sports. He said the passage of the draft law is also aimed at developing local sports. 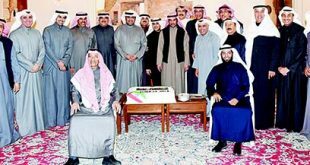 He stressed, “We gather here today in this special and historical meeting to address the issue which has become the concern of every Kuwaiti.” He added the passage of the draft law is a big leap in the development of the sports sector. 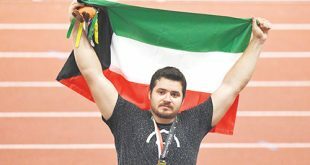 He noted that with the same pain every Kuwaiti feels due to the absence of the name of Kuwait and its flag in sports forums, His Highness the Amir Sheikh Sabah Al-Ahmad Al-Jaber Al- Sabah paid great attention to this sad matter and he exerted tremendous efforts to lift the suspension. “Today, everyone is in front of an important responsibility — the sports file. It was necessary to consult experts at the beginning of long rounds of hearing different views. We knocked on all doors locally, regionally and internationally. We made every move to reach a practical solution to this crisis,” he narrated. He added that they adopted certain standards and principles which will form the basis for the desired solution; the first of which is to uphold Kuwait’s interest and protect its sovereignty and Constitution, and second is to protect public fund and the right of the State to control this fund. The committee also welcomed the idea of equal negotiation and independence of local sport bodies, he revealed. He clarified, “Everyone should know that the decision to lift the suspension of Kuwaiti sports is not in our hands; it is in the hands of international organizations that will decide according to their regulations and procedures.” He affirmed the draft law is in line with the rules of the International Football Federation (FIFA), indicating it will be beneficial to the athletes. He cited the stipulation on the development of sports and protection of public money through the classification of funds provided to sports bodies such as public funds, the Sports Arbitration Tribunal and the International Olympics Committee. This is in addition to participation in the Asian Cup by establishing sports companies among clubs, school sports union and the Union of Sports for All, as well as the establishment of academies which take care of young people and the antidoping agency. In unrelated development, a number of MPs called for a special session to discuss the Parliament building storming case on Dec 10, 2017. A total of 12 MPs signed the special session request which will be submitted to the Secretariat of the Assembly. Three current MPs involved in the case were among those sentenced to jail — Waleed Al-Tabtabaei, Jaman Al-Harbash and Mohammed al-Mutair. Furthermore, some MPs also submitted a request to hold a special session on Dec 12, 2017 to discuss the proposed cancellation of Public Institution for Social Security (PIFSS) benefits, new electricity and water charges, gasoline price hike and amendment of the Anti-Corruption Authority Law.